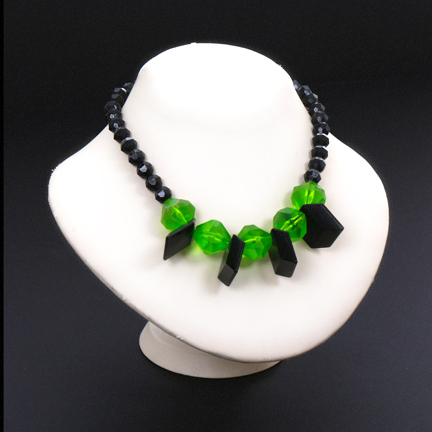 This necklace was worn by “Peg Bundy” portrayed by actress Katey Sagal in the television series “Married… with Children”. 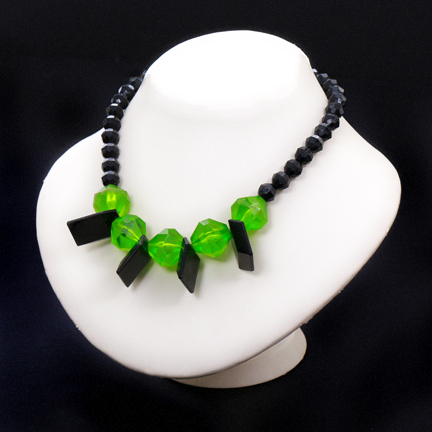 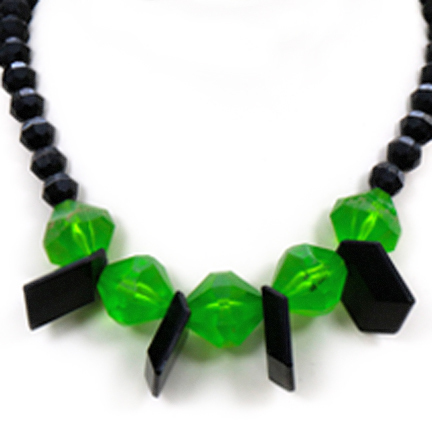 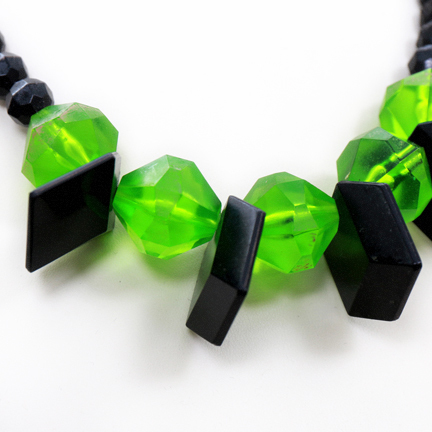 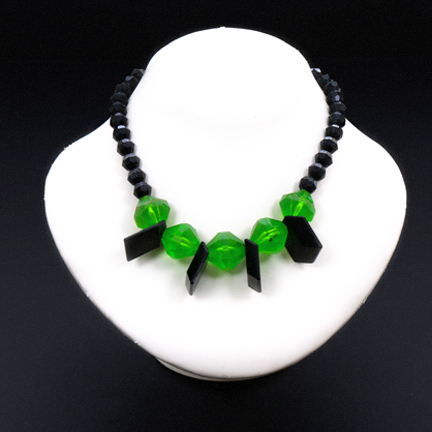 The 80's green and black chunky multi faceted plastic beaded necklace was custom made. 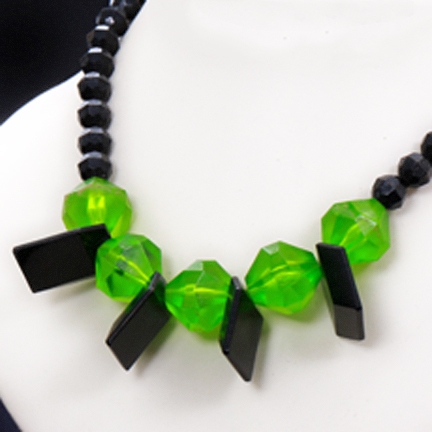 Ms. Sagal wears the necklace in numerous CBS promotional image for Season 3, magazine articles, and on the cover of various DVD’s. 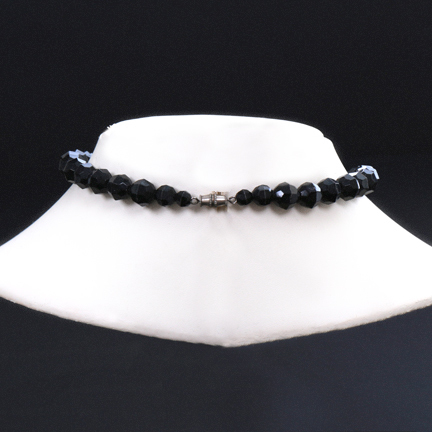 This item is in excellent screen worn condition and is accompanied by a letter of authenticity from the costume house.